Potatoes, carrots, onions and beets are a few of the garden vegetables damaged by this soil-dwelling pest. Here’s how to get rid of wireworms using proven, natural and organic techniques. Common in home gardens across North America, wireworms (up to 1-1/2 inch long) are tough slender worms with shiny skin and three pairs of legs just behind their head. They are yellow to brownish-red in color and feed entirely underground, attacking germinating seeds, roots, bulbs and tubers. Damaged plants soon wilt and die. 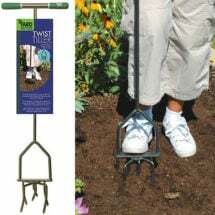 If infestations are heavy, thin and patchy crops may appear in the garden and reseeding will most likely be necessary. Note: Wireworms are the larval stage of click beetles. Approximately 1/2 inch long, these brown to black colored, bullet-shaped beetles are notable for their ability to click and right themselves when placed on their backs. Wireworm larvae and adults overwinter in the soil. In early spring female beetles emerge from the soil, mate and lay eggs underground. Hatching takes place in 2-4 weeks, and the young larvae begin working their way through the soil in search of food. Larvae feed underground for 2-6 years with most of their damage occurring in early spring when soil temperatures are cool. Pupation occurs in late summer and adult beetles emerge in the spring. One generation per year, the life-cycle requiring 1-6 years to complete. Thorough cultivation of the top 6- to 8-inches of soil makes conditions unfavorable to the egg laying adults and exposes all stages of the pest to weather and natural enemies. Birds can consume large amounts of larvae. Encourage them by hanging houses and feeders near your garden. Crop rotation is especially important to the organic vegetable grower because it can help reduce many pest problems that lead to the use of pesticides. Potatoes make great wireworm traps. Cut a potato in half and run a stick through the middle. Bury the spud about one inch deep so that the stick stands vertically as a handle. Pull the traps out after a day or two and discard wireworms. 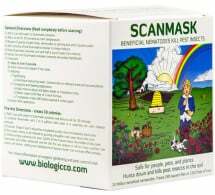 Apply Beneficial Nematodes when planting to attack and destroy developing pests in the soil. One pint — 10 million active units — treats up to 550 square feet of planting area. 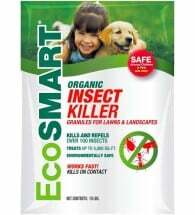 EcoSMART Organic Insect Killer can be used around home foundations, lawns and landscapes (ornamental and flower gardens). Apply 2-5 lbs over 1000 sq ft every 2-4 weeks or as needed. 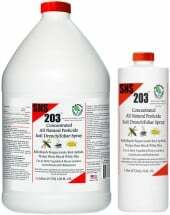 Apply SNS 203, made from 100% pure food grade materials, as a soil drench to kill the eggs and larval stages. Mix 2-4 oz per gallon of water and thoroughly wet affected and surrounding areas. Will NOT work on adult stages. 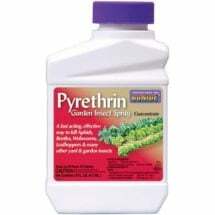 Soil drenches containing the botanical insecticide pyrethrin are somewhat effective, but should only be used as a last resort. Tip: If possible, wait until the soil has warmed before planting tubers. 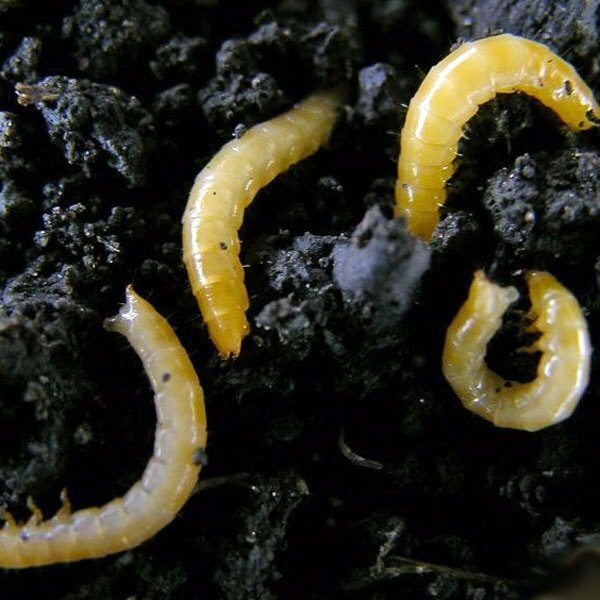 Larvae prefer cool soils and dig deeper into the ground when temperatures rise.